This article describes how to create a capacitor holder of compatible dimensions to replace a watch battery. This allows an external power supply to be used on small portable devices without misoperation due to electrical noise. Note that this technique can be used for purposes other than replacing a coin-size cell. In fact, it can be used to replace batteries of all sorts of shapes and sizes. Additionally, if the device doesn’t include a plug for an external power supply, the power supply wires can simply be brought into the battery replacement holder along with the capacitor. 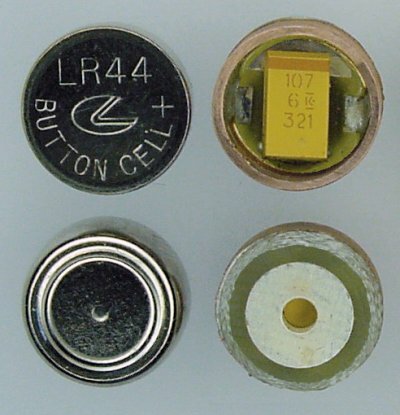 A capacitor and copper ring soldered to a PCB to substitute for an LR44 disposable button cell. Regardless of the original purpose of the device, if small size or portability isn’t required for your application, it may be advantageous to replace the coin cell with an external power supply, such as a larger battery or an AC adaptor (wall wart). Unfortunately, as distance increases between the power supply and the device’s circuit board, so does electrical interference and noise. Sometimes, this can lead to erratic or malfunctioning devices. At first, it seems that the obvious solution to override external electrical noise is to leave the coin cell installed in the portable device while using an external power source. The problem with this arrangement is that electricity from the power supply will flow into the coin cell, which may cause the coin cell to leak or explode. This can ruin a device. Instead, electrical problems due to external power supplies can be reduced or eliminated by placing one or more capacitors on the power input portion of the circuit board. (Put a capacitor where the battery was.) The capacitor stores and releases energy automatically to smooth power supply fluctuations and noise. Of course, I wouldn’t be writing about any of this if I didn’t have a specific example in mind. Digital calipers are accurate, portable measurement tools that look like a slide rule with jaws and an LCD display. Most often, calipers are used to measure the outside or inside dimensions of a small object, or the depth of a recess or hole. Many digital calipers now come with data output ports (see pinouts), so that the measurements can be read or logged by a computer. An inexpensive digital caliper with LCD display and data output port. Recently, digital calipers have come way down in price thanks to inexpensive Asian imports. These calipers can be found on an eBay auction or in advertisements in Home Shop Machinist magazine. Average prices for imported digital calipers vary by length: 6" ($20), 8" ($30), and 12" ($50). Note: A lot of eBay sellers fool around with higher shipping costs (borderline eBay scam). Be sure to add the shipping to the item price to determine the true total cost, especially when comparing different auctions. For example, a $9 caliper with $11 shipping (each) is really $20 per caliper. Are you surprised when the same seller offers the same caliper for $15 with $5 shipping on a different auction? Now that digital calipers are low-cost, readily-available, and come with a microcontroller-accessible data port, many innovative people are using them in their electronic projects, metal-working machines, or robotic systems. Digital caliper affixed to a milling machine using an external power supply through the data cable with a capacitor replacing the battery. 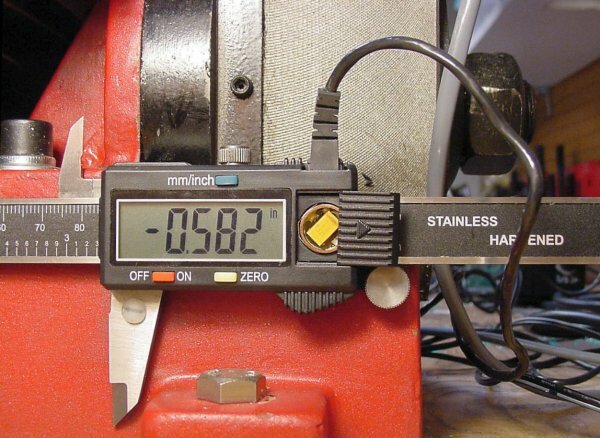 Some people started attaching calipers to their miniature milling machines to get quick-and-dirty digital read outs. If you attach a digital caliper to a milling machine and only want to watch the LCD display, then you can leave the battery in place. However, if you’re going to all of the trouble of connecting the caliper’s data port to a microcontroller, or if you want to avoid the cost of replacement batteries, then you should hook an external power supply to the data port. When using an external power supply, I found that the caliper’s value would occasionally scramble or reset. This could be due to the electrical noise from the electric motor on the milling machine, a loose data port cable, or even electrical noise from the overhead fluorescent lighting ballast. In any case, having the measurements change during a machining operation can completely ruin a workpiece. I decided to install a capacitor into the empty battery compartment, where the coin cell was formerly installed. Since then, I haven’t had the problem reoccur. Some people have simply soldered a capacitor in place. However, there’s not a lot of room to maneuver the soldering iron tip in the caliper’s battery compartment. Also, the caliper can be ruined by overheating or an errant solder blob. That’s why I decided to make a capacitor holder that is the same dimensions as the original coin cell. 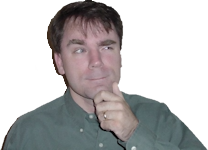 Not only would this eliminate solder damage to the caliper, but the capacitor can be removed and the battery restored if I decide to use the caliper for something else. And, if the caliper breaks or wears out, the capacitor can be moved to the replacement caliper.